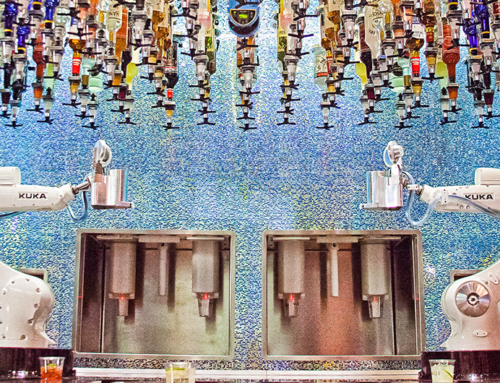 The adult playground that is Las Vegas just got a new toy. 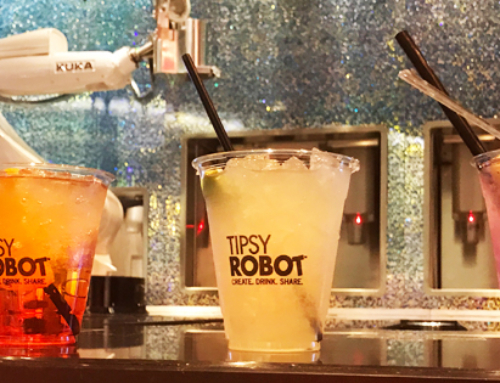 For those who appreciate the mechanical precision of an accurately poured drink, we present Tipsy Robot. For the rest of you: robots are cool. 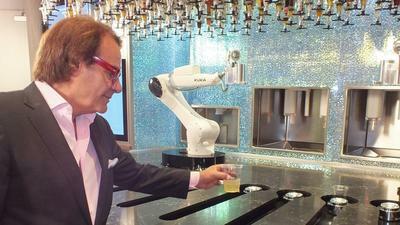 Yes, this does mean that robots are pouring your drinks; there are a few human bartenders, too. Yes, Mr. Roboto is a drink name; it’s Stoli and simple syrup mixed with ginger beer or opt for the shot called Dirty Bot. You’ll have to investigate that one yourself. 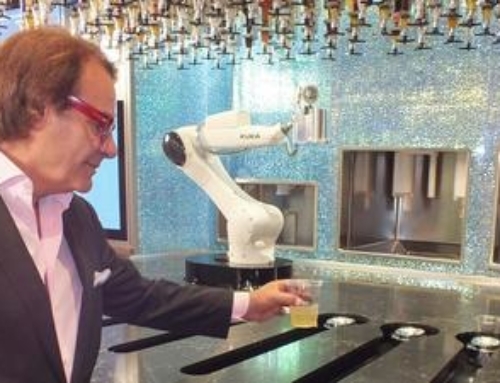 Drinks are ordered from an iPad and transmitted to the robots, who whip up your creation in 90 seconds or less. The adult playground that is Las Vegas just got a new toy. 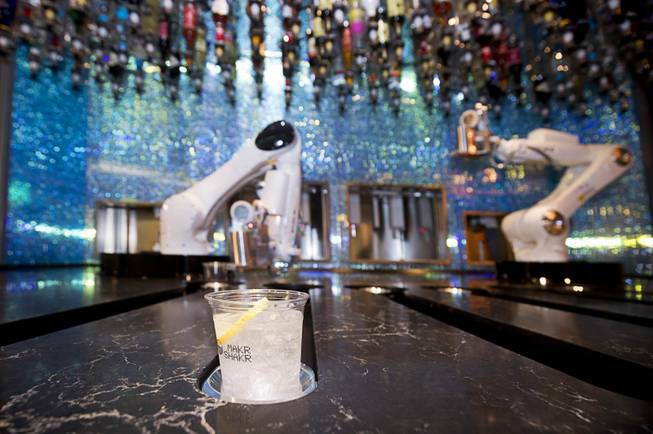 For those who appreciate the mechanical precision of an accurately poured drink, we present Tipsy Robot. For the rest of you: robots are cool. 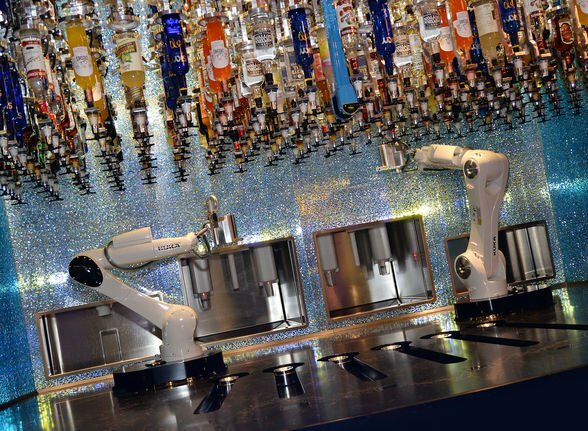 Yes, this does mean that robots are pouring your drinks; there are a few human bartenders, too. Yes, Mr. Roboto is a drink name; it’s Stoli and simple syrup mixed with ginger beer or opt for the shot called Dirty Bot. You’ll have to investigate that one yourself. 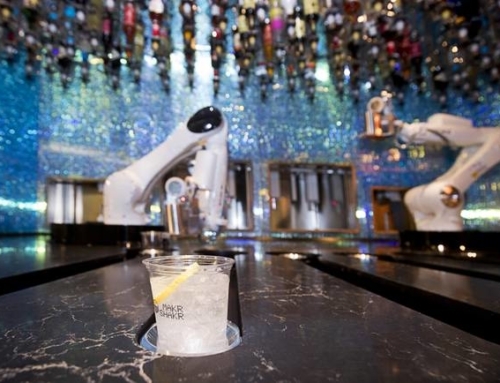 Drinks are ordered from an iPad and transmitted to the robots, who whip up your creation in 90 seconds or less.